Addyson in some ways is like any other 4th grade girl. She likes school, playing with her friends, making slime (seriously, when is this slime phase going to be over? ), and jumping on the trampoline with her brother. However, in other ways, she is mature beyond her years and has a desire to change the world, at the young age of 9. That purpose that God placed on her heart has only grown over the past 24 months. She is not slowing down anytime soon. Her story continues to inspire those that hear it because of the authenticity and endless pursuit of fulfilling her calling. 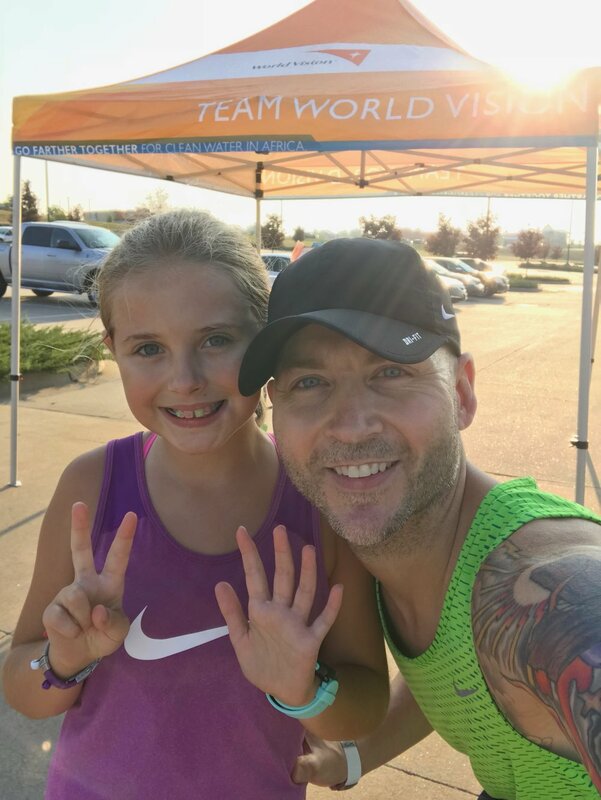 In October of 2016, Shayla was running the Kansas City Half-Marathon for Team World Vision. It was during the team dinner, a couple of nights before the race, that Addyson made the decision to run the Kansas City Half-Marathon (13.1 miles) in 2017. That’s right, at the age of 7, she made the decision to run a half-marathon the following year. It was during the team dinner that Addyson met Maurine, a little girl just like Addyson but lives in Kenya, Africa. It was during this same team dinner that Addyson heard for the first time that there are kids in Africa who die every day because they do not have clean water. Addyson learned that $50 provides clean water to one kid for their entire life. For the next two days, Addyson and Maurine played together and quickly became the best of friends. Both of their lives would never be the same. “Mom, we HAVE to do something. I want to run next year’s race to raise money to help kids like me that do not have clean water. I want to run to help kids like Maurine,” Addyson said. This began something much bigger than we ever could have imagined. Addyson’s heart was shattered because innocent kids were dying from the lack of clean water. Something that we take for granted every day when we turn on a facet, take a shower, brush our teeth, and water our plants. For Christmas in 2016, Addyson asked Santa for money for clean water instead of gifts. Christmas morning came and there was a letter from Santa with $100 cash to go towards Addyson’s fundraising page. As Addyson’s birthday approached in March, she told us that she did not want gifts. She wanted to save more kids by providing clean water. She asked the girls who she invited to her party to donate to her fundraising page instead of gifts. Through her unselfish request, Addyson raised $160 from her birthday party. She requested a Team World Vision birthday cake and even the lady at the bakery was inspired by Addyson’s heart and donated $5.00. “This is the most meaningful birthday cake I have ever made. I do not have a lot, but this story inspires me. Here is $5.00. I hope it helps,” said the bakery employee. In 2017, Addyson had a goal of raising $1,310 and quickly hit that mark. She raised the goal to $3,000 and quickly hit that mark. She raised the goal again to $5,000 and once again, quickly hit that mark. She raised the goal again, this time to $10,000. The $10,000 fundraising milestone is considered LEGACY within Team World Vision. By August 28th of 2017, Addyson reached her goal of $10,000 which provided clean water to 200 kids. 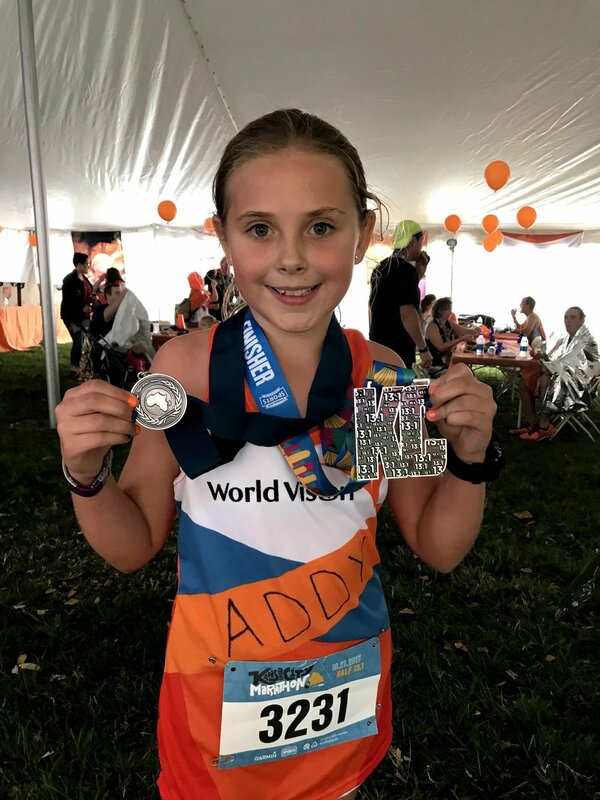 By raising $10,000, Addyson became the youngest LEGACY fundraiser in the history of Team World Vision. Each time she hit her goal, she asked to raise the goal, so more people could join her story. She was never content. The fundraising is the most important piece to Addyson’s story, but it is not the only piece. Running the half-marathon was the other piece. On October 21st, 2017, Addyson crossed the finish line after running 13.1 miles in 2 hours, 28 minutes, and 19 seconds…as an 8-year-old. She was the youngest finisher. She received her medal and then very special, red carpet welcome at the Team World Vision finishers tent for her accomplishments for both running and fundraising. In 2017, Addyson raised $20,600 for clean water for kids in Africa. This will provide clean water to 412 kids for their entire life. However, this was not the finish line for her. 2017 was just the start. This was just the beginning for this incredible little girl with a heart to change the world. Because kids are still dying every day from the lack of clean water, Addyson will continue to ask others to join her story. In 2018, Addyson is committed to raising $20,650 which will provide clean water to 413 kids. She set this as her goal because she wants to do more than she did last year. No small feat but she continues to amaze others by her resilient pursuit of inviting others to help her, help the kids. Each mile that she runs, she will be thinking about the kids who do not have access to clean water like she does. 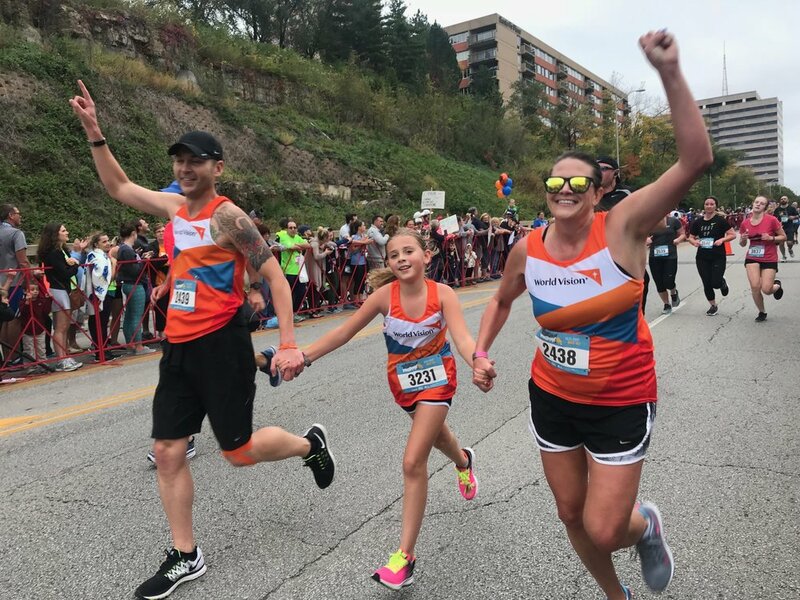 She will once again be running the Kansas City Half-Marathon in October for Team World Vision. This is no small task. She will spend 16 weeks training for her half-marathon. She sacrificed her summer of sleeping in by getting up at 5:30 am, 4 days a week to train. Once school started a couple of weeks ago, she has continued to get up early to run before school. Running 13.1 miles takes time, dedication, and perseverance. Each Saturday morning, 75-100 people gather at Pleasant Valley Baptist Church (our home church) in Liberty, MO for one of the largest Team World Vision group runs in the country. Among the wave of orange jerseys running, Addyson’s familiar smile and high-fives encourage the adults who are running. Each week, someone comes up to Addy and tells her how much she encourages them and how they are so inspired by what she is doing. Each week we take a selfie with Addy holding up the number of miles we just completed. She keeps going so the kids don't have to. She has BIG dreams to keep running so kids in Africa can have clean water just like she does. She runs for the kids. She runs for clean water. “There are still kids in Africa that do not have clean water like I do. I have to keep doing something,” said Addyson when asked why she keeps doing what she is doing. Addyson is doing something. Will you do something? Addyson needs your help. Any amount helps. I am asking you to skip that meal at the restaurant this weekend and donate $50. Save a child by providing them with clean water for their entire lifetime. Skip Starbucks for a couple of months and donate $100 to save two kids. For some reading this, you have been blessed financially and could give $1,000. Maybe you are a business owner and have the ability to give $5,000. As of today, Addyson has raised $14,150. We can do this together. Will you join this story? Click here to help Addyson change the world. Thank you for letting us share a story of someone who is being different. Thank you for letting us share the story of Addyson. Each one of us was created in the image of God, with a purpose and a passion. Our dreams seem to fade as the years go on. Don't give up on your passion. Continue to fuel your passion by following your dreams. 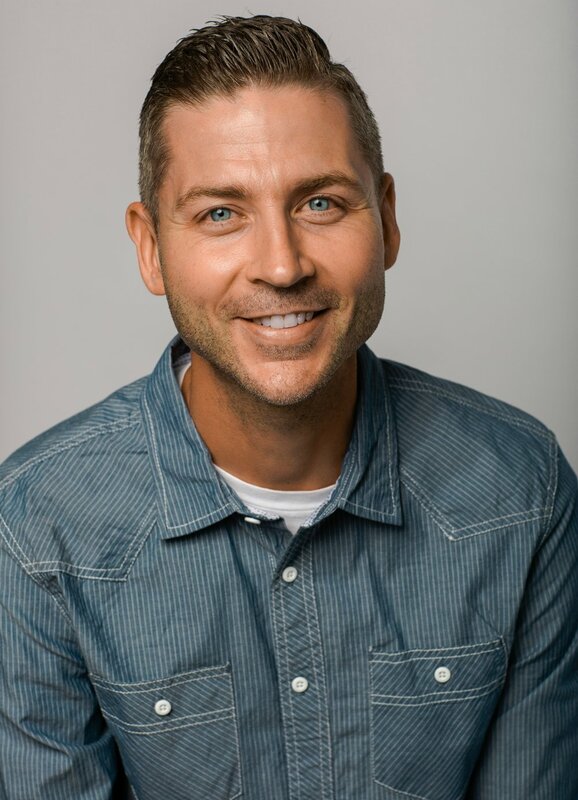 I hope this story encourages you to find what God designed you to do. WATCH ADDYSON AND MAURINE REUNITE IN NOVEMBER OF 2017 AFTER NOT SEEING EACH OTHER FOR OVER A YEAR! WATCH ADDYSON'S STORY THAT WAS PUT TOGETHER BY GIRLS ON THE RUN WHEN THEY AWARDED HER WITH THE CONTRIBUTION AWARD IN APRIL. Newer PostTake That World! 19 Truths About Marriage.